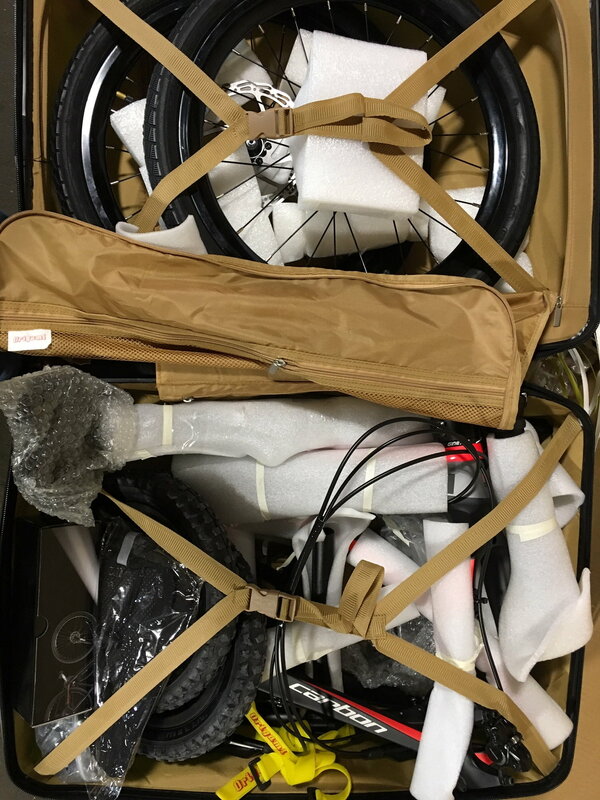 Having packed my 20 inch bike into a suitcase about 50 times in the past 2 years I thought I would share some packing tips as my setup evolved. 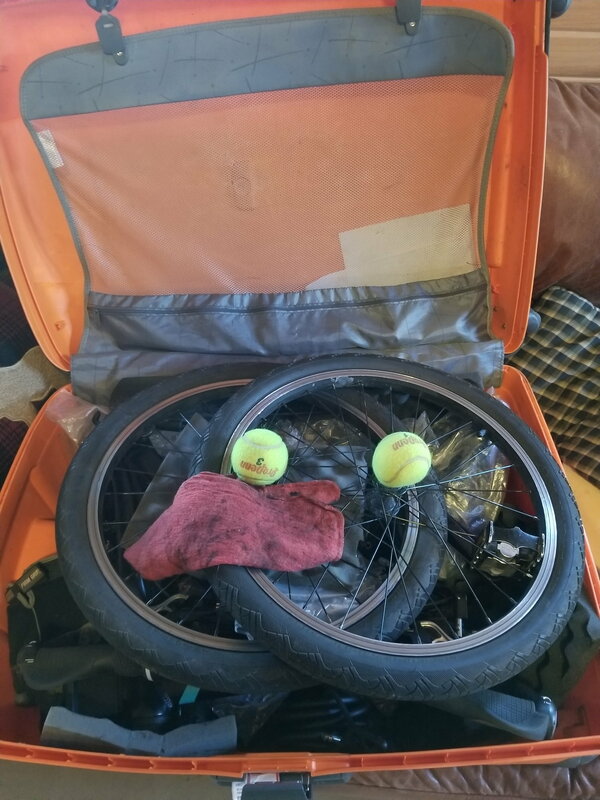 I used to pack, wheel, bike, wheel. I now favor bike with the wheels on top. 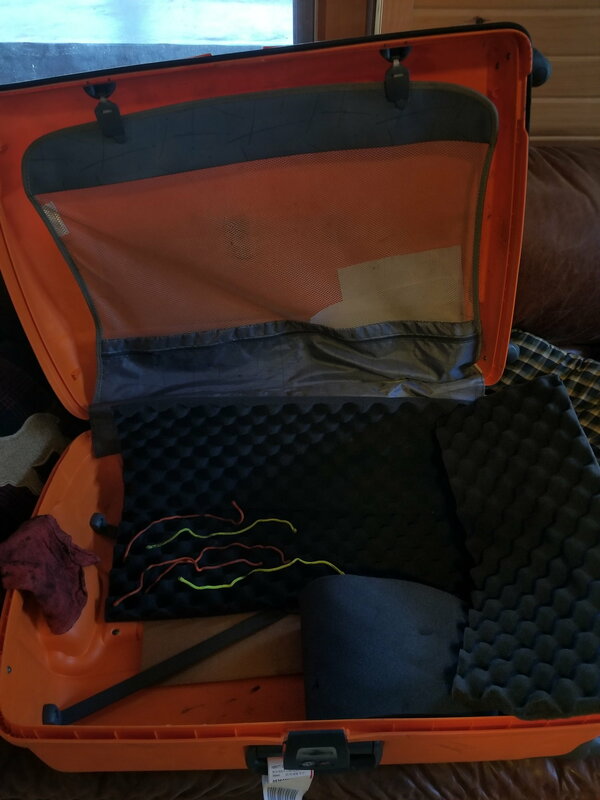 I use the flite suitcase (thanks to this forum) which has plenty of room. I line the case with cardboard then add a layer of foam (like the pelican case kind). I have found this combo offers the best protection vs. weight ratio. The flite has a storage compartment to store all the tools that you need. I am also a fan of gear ties. I keep a handful in the case to lock the chain onto the crank and secure any wrapping. Step One for me is to release the brakes before flipping the bike upside down. Then I loosened the wheel bolts, removing the front wheel. I prefer to release the air from this position before removing. Next I remove the crankside pedal. The bike will be stored crank down where the foam protects it from warping. 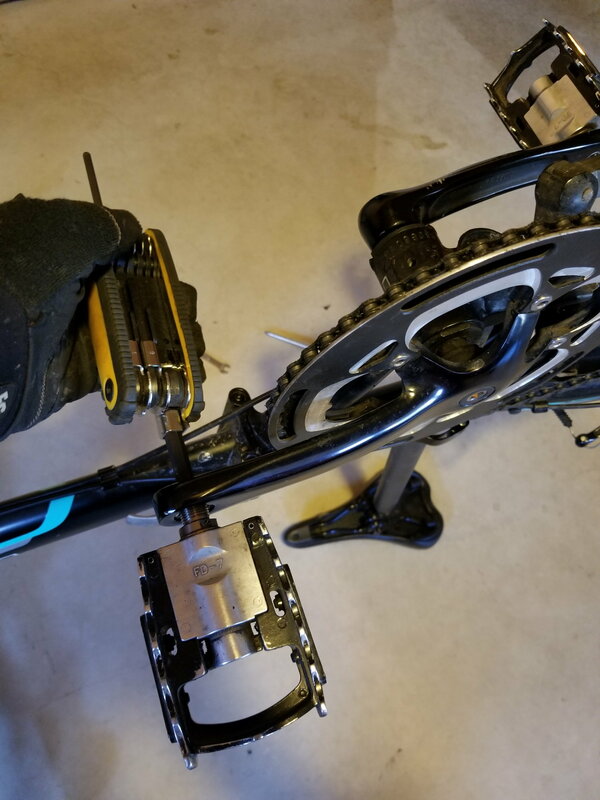 Also the positioning of the crank arms are critical for the wheel packing, so this is the time to set the arms in the proper direction, which is pedal furthest away from the frame. 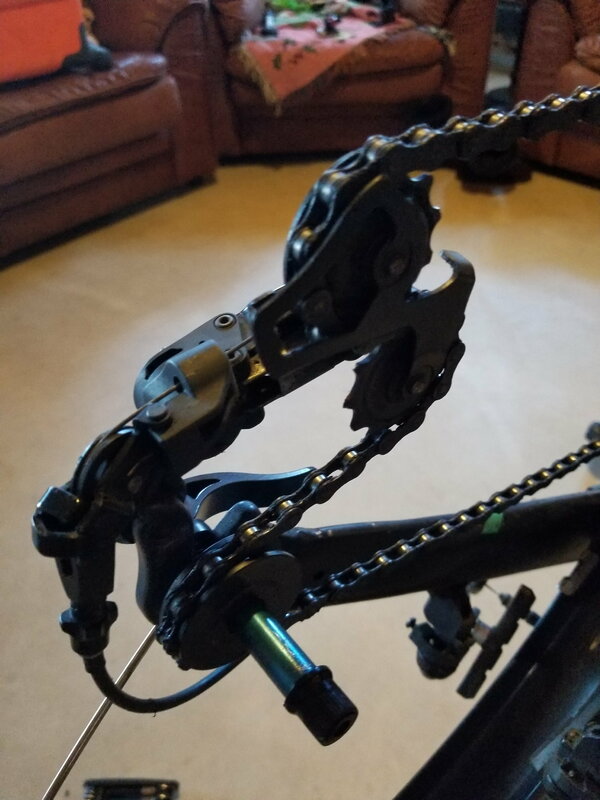 Remove the rear wheel and attach a dummy hub (I use Park tool- knowledge gained through this forum) to prevent the chain from going everywhere. Unbolt the derailleur, letting it hang inside the rear forks. A plastic bag wrapped around it makes oil a non issue. The gear ties secure the chain in place on the crank. 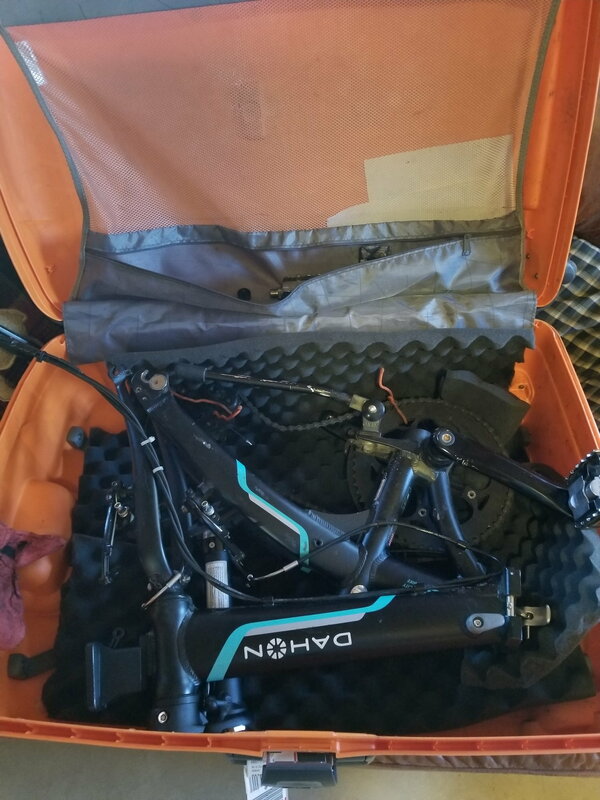 Use the suitcase frame as a stand to remove the seat post and handlebars. Frame goes in crank down with foam added to the sides. There should be room to slide the post through the frame. I prefer plastic wrapping secured by gear ties to minimize scratches. Lastly are the tires. Rear wheel is 1st, freewheel down which is protected by a smaller piece of foam and cardboard. It sits nicely into the open spacing between the folded frame. The front tire is offset from the rear. I place tennis balls on the exposed bolts to both protect and lock in the frame to the case. I don't like loose, movement means more impact. I use sneakers and foam blocks to cushion the main impact points. Last edited by kayakindude; 04-07-19 at 08:12 AM. Thank you for this great pictorial tutorial! Well done! Thanks a lot! Great job. I pack my xootr swift in a similar way. The airlines I use (in and out of Japan, to and from Europe and Australia ) are quite generous with weight but very strict on size. On my next journey I have 42kg of weight but only 158cm for luggage. That means the full sized fixed gear is out and the Montague is do-able but the swift is a breeze. This is the Origami Dragon packed in a < 62" suitcase. 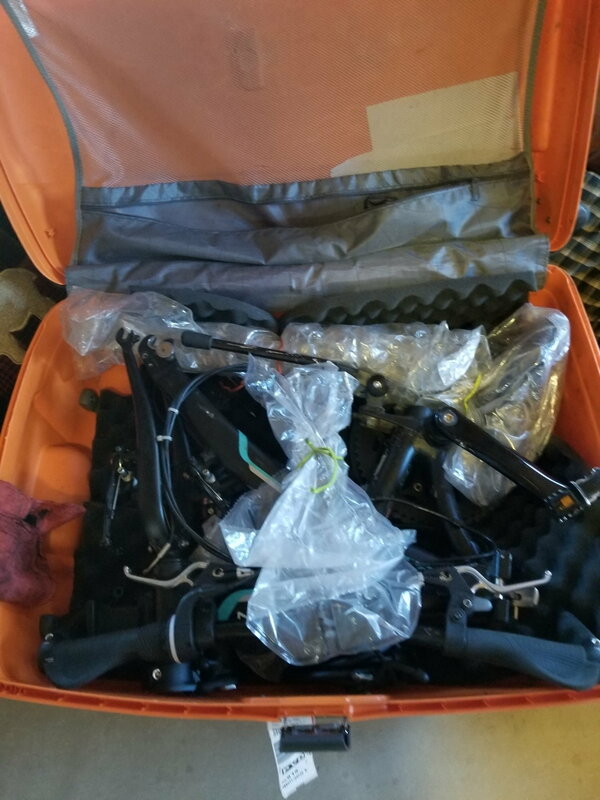 With quick release pedals, it can be disassembled and packed in about 3 minutes (I had a friend time me). The small wheels are for the trailer kit which fits in with the bike. Damn, I've gotta get myself a suitcase and try doing that myself. 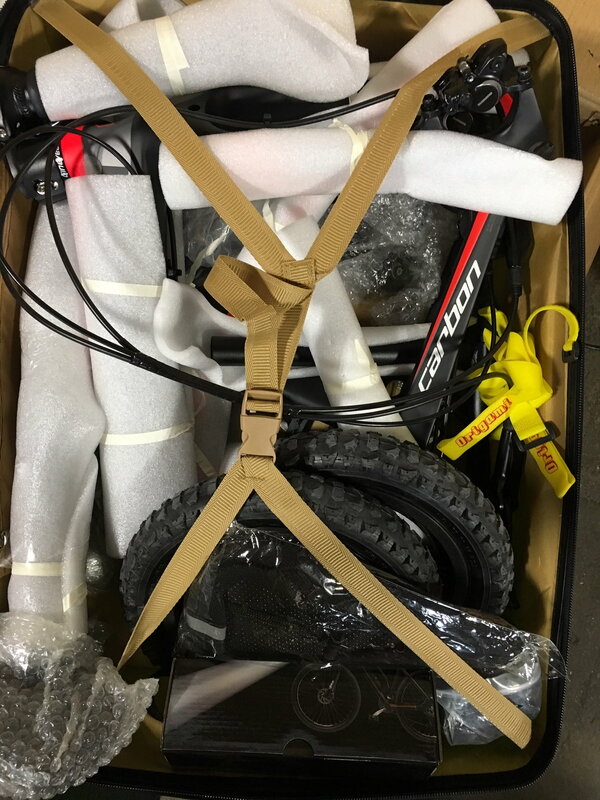 I'd love to be able to bring my bike along when heading on short trips, but I never actually expected to fit a Dahon into a suitcase (unlike a Brompton). 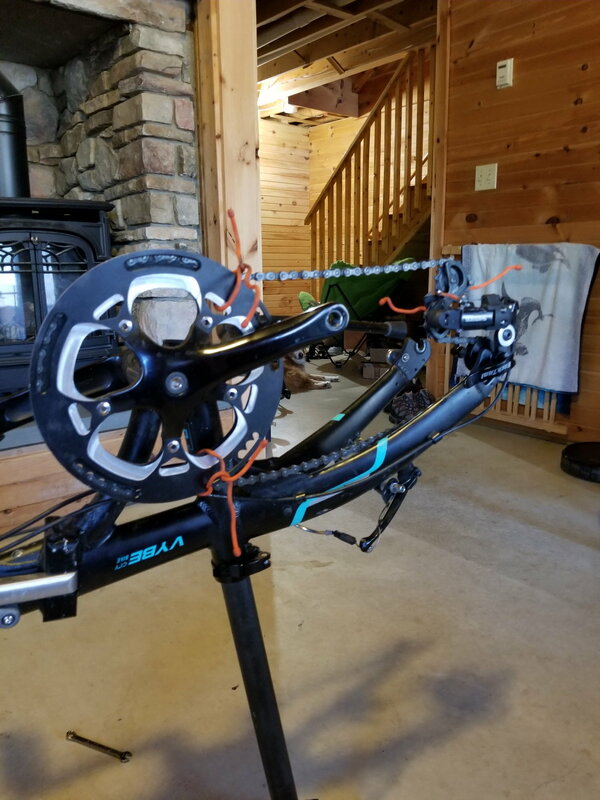 I'm currently making some modifications to the bike, so I may have to see what I can do to minimize the weight/size of the folded bike, as well as making it easier to disassemble. I appreciate the step-by-step instructions; certainly gives me an idea of how to proceed with my bike. 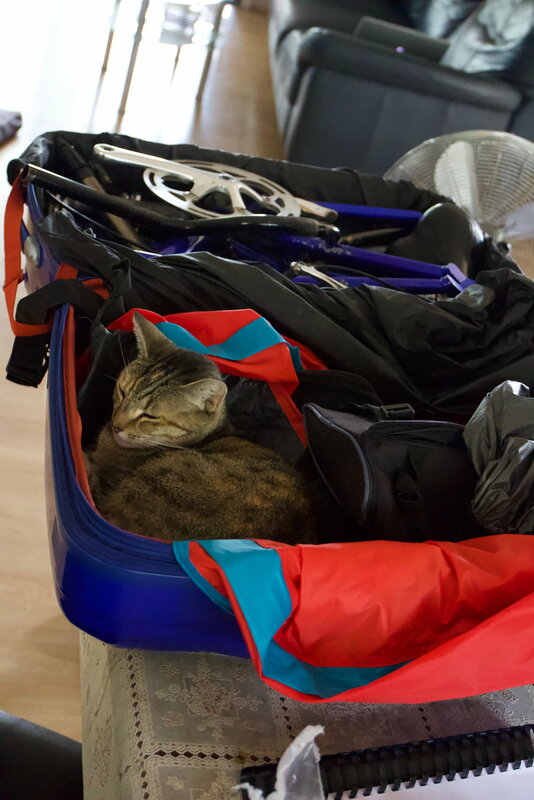 Just be careful in selecting a suitcase. Many are only 19" wide, which makes it hard to pack a 20" wheel, and many of those that are 20" wide (the Samsonite f'lite 31") are well over the airline limit of 62" and are subject to oversize-bag fees. Ah, much obliged for those tips; I didn't even think about the fact that the case might be smaller than the wheels. 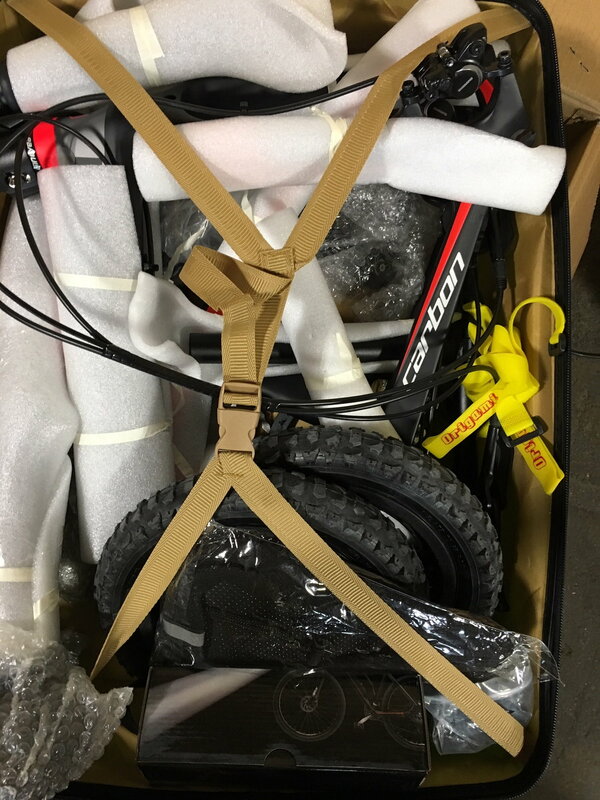 I think what I might do is take the bike apart as well as I can, see how small of a package I can get it into, and then use a cardboard box to figure out how big of a suitcase I actually need. Once I get that, I'll just start checking the local thrift shops and TJ Maxx (or Winners up here in Canada) to see if I can find a suitcase that works. Even if it's a soft-shell, I can always get some acrylic sheets for the inside to give it some support. I can only go by my experience with domestic flights inside the US, but I have never been questioned about the suitcase. The Vybe with tools, sneakers, and pump comes in at 48 pounds. My Chameleon which also has an oversized suitcase comes in at 36 pounds. Weight is more important than size.